Do you love playing celtic music? Would you like to be part of an intimate long-weekend camp with one of the genre's best players and composers, who's here in Australia for the first time? 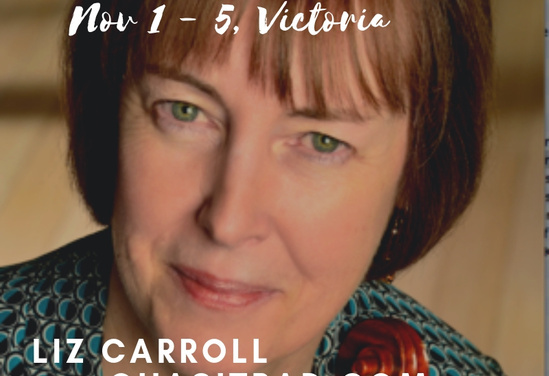 Here's your chance to find out Liz Carroll's secrets to tune-writing, how to get started or how to build on your technique. Liz will be joined by one of Australia's most-loved tune-writers and players, Kate Burke. As well as tune writing, the camp's focus will be on sessions, and various afternoon electives including how to play and call dances, and how to arrange tunes for bands. The setting is the the Pennyroyal Otways Retreat, set in the stunning Otway Ranges, just 20 mins from the Lorne and the Great Ocean Road. Meals are provided and you can either camp or stay in one of the cottages. You'll get the most from this camp if you already play celtic tunes and have an interest in being immersed in the genre for the weekend. It's not necessary to be an advanced player on your instrument... and if you are, there's plenty of chances to use your skills at camp, especially during the electives. We look forward to seeing you there! Be inspired by Liz Carroll (USA) and Kate Burke (Aust)!